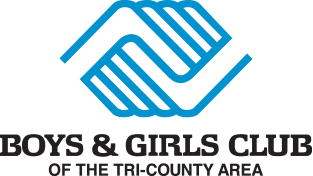 Please join the Boys & Girls Club of the Tri-County Area at our annual golf outing, Drivin’ Fore the Club. We encourage you to take part in this great opportunity to learn more about the Club and help fulfill the Club’s missions of improving the lives of children and families. Drivin’ Fore the Club is well known for being a fun and enthusiastic golf outing. Whether you are a beginner or seasoned pro, you are sure to have a blast golfing for this great cause. Every day after school and in the summer, the Club provides age-appropriate programs to help its members become productive, caring citizens. Whether it is teaching members the importance of staying active and eating healthy or providing homework help to achieve academic success, the Club is making a true impact on the lives of the youth it serves. With your support, we can ensure the Club will always be a place where Great Futures Start. Registration includes: 18 holes of golf, cart, box lunch served in cart and heavy appetizers. Golf will be in scramble format and prizes will be awarded to place finishers. Guest will also enjoy a 50/50 raffle, hole events, silent auction and other fun games during golf. If you are interested in donating to Drivin’ Fore the Club 2019 please contact Ashley by May 14 at 920-361-2717 or abartol@bgctric.org. Register today for Drivin’ Fore the Club 2019!